WATERLOO – Lynn Thomson has won the 2015 Edna Staebler Award for Creative Non-Fiction for Birding with Yeats: A Memoir (House of Anansi Press). Award receptions to honour Thomson will take place Thursday, Nov. 5 at Wilfrid Laurier University’s Waterloo campus and Friday, Nov. 6 at Laurier’s Brantford campus. 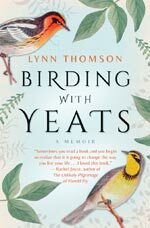 Birding With Yeats recounts Thomson’s efforts to support her son, Yeats, a solitary young man who has trouble finding his way in the world. She gamely embraces his passion for bird-watching, which leads them across the country and as far the Galapagos Islands, which she describes in evocative detail. Along the way, Thomson rediscovers the solace that can be found in the natural world. As much about the bond between a mother and a son as it is about bird-watching, Birding With Yeats is an elegantly written, engaging memoir. "Birding With Yeats is an exquisitely written first book," said Bruce Gillespie, an award juror and professor in the Digital Media and Journalism program at Laurier’s Brantford campus. “Thomson’s writing makes you want to read the book as slowly as possible, so as to appreciate fully each finely crafted sentence and keen-eyed detail." In addition to Birding with Yeats: A Memoir, the shortlist for the 2015 Edna Staebler Award also included: Writing with Grace: A Journey Beyond Down Syndrome by Judy McFarlane (Douglas & McIntyre) and Forgiveness: A Gift from My Grandparents by Mark Sakamoto (HarperCollins Publishers Ltd.). An award presentation will take place Nov. 5 at 3 p.m. in the Library on Laurier’s Waterloo Campus, followed by a dinner at 5:30 p.m. A reception will also be held on Laurier’s Brantford campus on Nov. 6 in the Reid Lounge of the Carnegie Building; details will be available at wlu.ca/staebleraward. Thomson will also be recognized at the Wild Writers Literary Festival, an annual event presented by The New Quarterly journal. 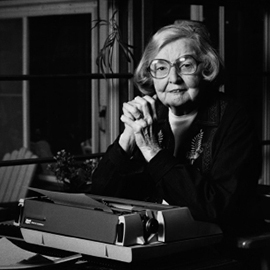 In honour of Edna Staebler’s contributions to support emerging writers, Thomson will be introduced as a guest of honour at the Wild Writers opening event on Friday, Nov. 6 at 7:30 p.m. at the CIGI Campus in Waterloo.